The exodus, driven by violence, hyperinflation and shortages of food amounts to around one in 12 of the population. 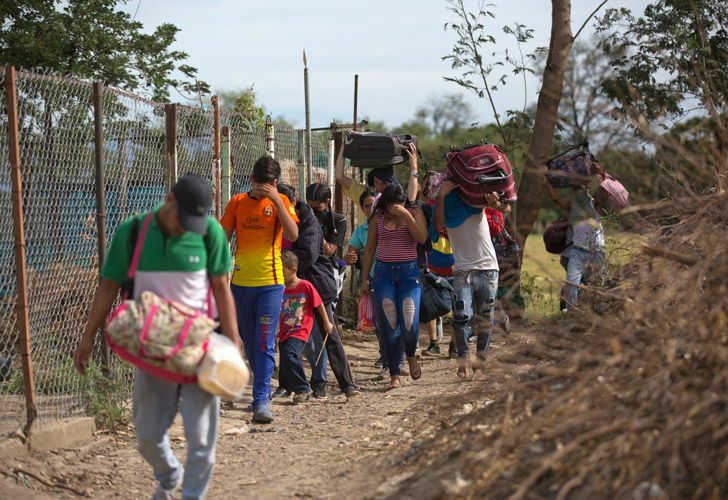 The number of Venezuelan refugees and migrants who have left the country due to its crumbling economy, violence, hyperinflation and shortage of food and medicines reached 2.4 million, according to the U.N. refugee agency and the U.N. migration agency. Citing data from national immigration authorities and other sources, the agencies reported that more than 1 million are in Columbia. Peru is next with over 500,000. Ecuador has over 220,000, Argentina 130,000, Chile over 100,000, Panama 94,000, and Brazil 85,000, the U.N. High Commissioner for Refugees and the International Organization for Migration said. 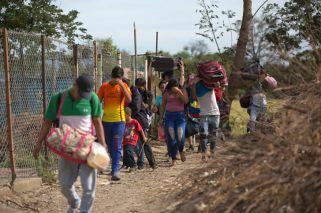 "Countries in Latin America and the Caribbean have largely maintained a commendable open door policy to refugees and migrants from Venezuela," said Eduardo Stein, joint special representative for the two agencies on the Venezuelan issue. He warned that "their reception capacity is severely strained, requiring a more robust and immediate response from the international community if this generosity and solidarity are to continue." Governments from the region met in Ecuador in September and are scheduled to hold a second meeting Nov. 22-23. Venezuela was once among Latin America's most prosperous nations, and it has the world's largest proven oil reserves, but a fall in oil prices accompanied by corruption and mismanagement under two decades of socialist rule have left the country in economic and political crisis. Inflation this year could top 1 million percent, according to economists at the International Monetary Fund. The government denies there is a migrant crisis and President Nicolas Maduro has urged his country's emigres to "stop cleaning toilets abroad" and return home.